The Jerusalem Post reports: BERLIN – A prominent lawmaker from the Christian Democratic Union party, Armin Schuster, advocated on Monday for the extradition of foreigners living in Germany who torch Israeli flags. 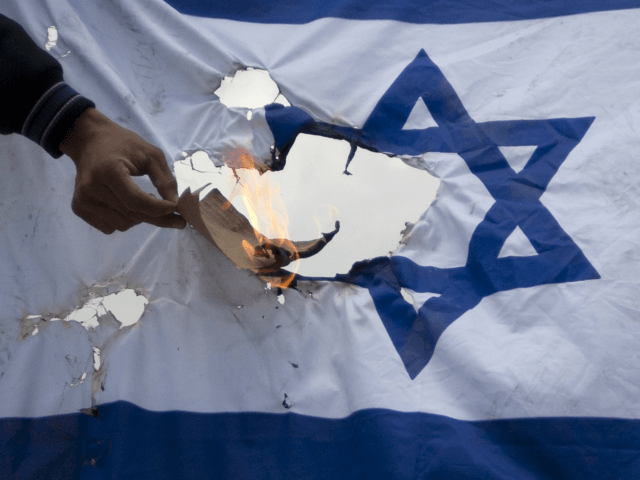 ”When foreigners living in Germany burn Israeli flags, there should be a given legal foundation for their immediate expulsion,” Schuster told Die Welt newspaper. Schuster is an expert on domestic affairs for German Chancellor Angela Merkel’s Christian Democratic Union. Mass anti-Israel rallies in Berlin, where the Israel flag was burned in response to the US declaring Jerusalem to be Israel’s capital, shined an uncomfortable light on Merkel’s efforts to combat rising antisemitism and her immigration policies. The Federal Republic bans the burning of the German flag but does not prohibit the burning of foreign flags. Schuster’s recommendation would mean a change in German law.